Shipwrecks are usually caused by one of many reasons. The most common are poor design, instability, navigational errors, weather, warfare, effects of age, improper operation, fire/explosion, equipment failure and intentional causes. Shipwrecks also happen simply because the captain failed to believe it could happen. He simply ignored the warning signs or was just in too much of a hurry to see them. Most shipwrecks do not happen in open water but in sight of the shoreline. The majority take place after the ship runs aground on a sandbar, coral reef, rocks or another wreck. 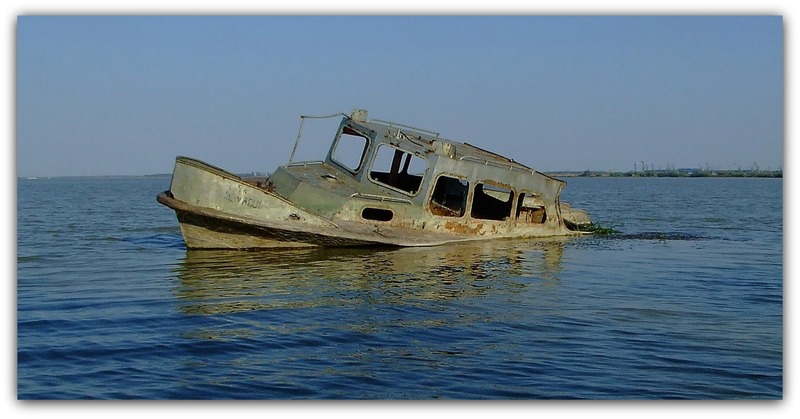 There are a lot of ways to avoid shipwreck, most specifically tied to awareness and diligence. Knowing where and where not to sail a ship is certainly a big key. Another is having a proper ballast since the ballast balances a ship and allows it to move smoothly through the water. The causes and prevention of shipwrecks transfer easily to our faith life, mostly because of the connections Paul made to them. What is a shipwrecked faith? Paul was very familiar with shipwrecks. He personally experienced three of them along with a day and a night “in the deep” (2 Corinthians 11:25). His experiences allowed him to use related terminology to help us better understand living out our faith. Paul begins this letter to Timothy by warning him against false doctrines and myths. He charges Timothy to remain true to sound doctrine that confirms the Gospel. Paul also gives examples of two individuals who failed to do this and as a result shipwrecked their faith. When we have faith in the Gospel, we lean on God with complete trust and confidence to guide us where he wants us to go. A shipwrecked faith, then, is a faith that has veered off that course and run aground. It’s a faith that drifted away from the truth of the Gospel and was broken apart by relentless waves. The word “rejected” that Paul used is a nautical term that means “thrown overboard.” In other words, they made a choice to reject the faith and drift away from the truth of the Gospel. They are Christians who knew the truth of the Gospel and how it directs us to live, but they made choices that cause them to drift away and veer off course. Any good ship captain realizes shipwreck is always a possibility. Likewise, every Christian must realize the real and constant pressure to live contrary to the the Gospel, to righteousness. Not only is this Paul’s warning to Timothy, but life attests to this harsh reality for us as well. Church leaders who become Sunday only pew sitters and some who no longer even attend church. Rebellious teenagers who once loved and served God and were active in church. While stories of others shipwrecked faith testifies to the truth of what Paul says in 1 Timothy, none anchor it better for me than my own story of a shipwrecked faith. What about you? Has your own faith gone adrift or even been shipwrecked because you made choices that gradually got you off course? In every case, a person with a shipwrecked faith — or one drifting that way — followed something contrary to Scripture. We followed a “truth” based on the world, the flesh or Satan that directed us away from how the Gospel of Jesus directs us to live. Don’t give up hope! Return to the Gospel. Begin with this freeing truth. In Shipwrecked Faith, Part 2, we look at how to avoid a shipwrecked faith and what to do if your faith is already shipwrecked. This entry was posted in Balance, Focus, Struggle and tagged 1 Timothy 1, balance, bible, choice, Christ, christian, confidence, connect, connection, connections, don't give up, faith, family, fire, forgive, friends, individual, intentional, leader, love, move, read, righteousness, Ruth, scripture, serve, struggle, talking, teacher, teenager, time, trust, truth, victory, words, work by admin. Bookmark the permalink. Mine didn't shipwreck but it sure was on an uneven keel. i spent close to 9 months in a desert of my own making. it took a serious bicycle wreck to get me crawling back to the Father and into His loving arms. I guess you could say I was glad i was not a speedboat but a trawler, or is that crawler? Usually takes something significant to get us back on track, especially the farther we've gone askew.